Lower Price Hill, the West End, Over-the-Rhine, Mt. Auburn, Clifton Heights and Corryville make up much of Cincinnati's center city neighborhoods, and they also represent some of the lowest Census 2010 response rates to date. As of Monday, April 12 most of Cincinnati's center city neighborhoods were below the 66% national average response rate while the East End, Clifton, Hyde Park, East Walnut Hills and Mt. Lookout all reporting at or above the national average. A Census tract representing the northern portion of the West End is currently at a low 39%, while two Census tracts representing Pendleton and part of Walnut Hills have registered 43% and 42% response rates respectively. 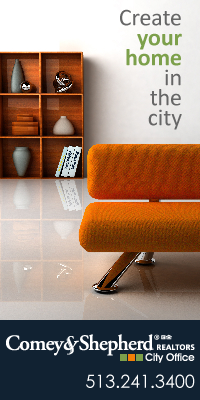 The lowest in the City of Cincinnati is Fay Apartments, an official City neighborhood and its own Census tract, at 34%. The City of Cincinnati in its entirety is at 63%, while Hamilton County has a 71% response rate making it the highest of Ohio's five most populous counties. Back in Cincinnati's center city the success story is overwhelmingly the Census tracts that make up Over-the-Rhine. All four of the Census tracts there are already well above the Census 2000 response rates with two of the tracts a dramatic 21% higher already. 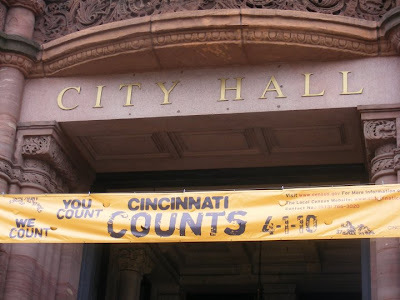 Meanwhile, the Census tract in Over-the-Rhine that has been publicized for being one of the most difficult to count in the nation is currently at 44% which is 17% higher than the final Census 2000 tally. "We are pleased with the appearance of an increase in participation, especially in OTR," said Katherine Keough-Jurs, Senior City Planner with the City of Cincinnati's Department of City Planning & Buildings who went on to note that the data collection methods differ from 2000 to 2010 and thus make the numbers more difficult to compare. "Technically, comparing 2000 to 2010 is little bit like comparing apples and oranges," Keough-Jurs explained. "Still, we are pleased that so far OTR is showing 40% to 53% participation rates and that some City neighborhoods are as high as 80%." 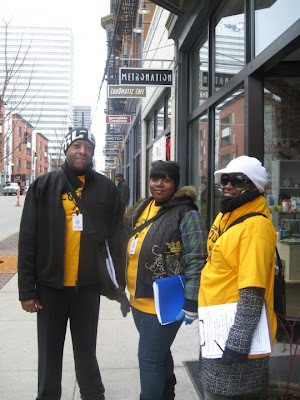 Cincinnati Counts workers have been hitting Cincinnati's streets for months working to inform people about the 2010 Census. The good looking group on the right is a group of fellow Urban Planning students I knew while at the University of Cincinnati (shout out!). 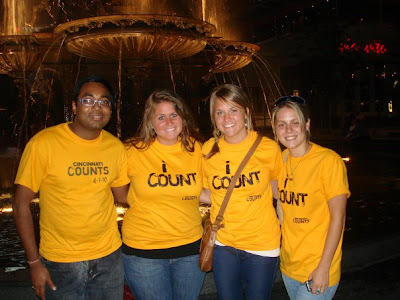 "Our 100-plus Complete Count Committee members are still working hard to get the word out that the census is simple, safe and important, and reminding people to complete and return their Census forms," explained Keough-Jurs.